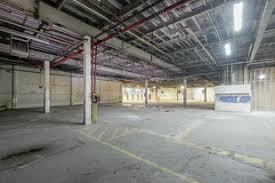 What are some good negotiation tips for store leases in manhattan? 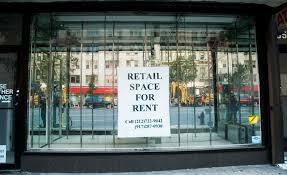 Getting into a new storefront rental can be an exciting and stressful time. On one hand, it’s fun to imagine the purpose for each space; on the other, it can be frustrating to work out the lease agreement after finding the perfect location. Negotiation is an important stage of signing a store lease in Manhattan. You don’t want to pay too much or find hidden terms that are nearly impossible to meet later on. In this article, we are going to look at 5 tips for negotiating a better lease and how a real estate attorney for store leases in Manhattan can become an invaluable asset to the process. After finding an ideal space, discuss the length of the store lease with the property owner prior to completing a commercial rental application. This will ensure that you are both on the same page prior to taking more advanced steps. A reasonable length of time for a store lease in Manhattan is generally one or two years for small businesses. An ‘option-to-renew’ provision is often included as well. More cautious renters can opt for a shorter lease if you aren’t entirely convinced that the place is for you. The down-side is that a location dependent, retail store relies on consistency and foot traffic. The amount you pay is an important consideration in a store lease agreement across targeted Manhattan neighborhoods. Do your homework and know exactly what it is going to cost in your area so you can work out a fair rate. PRO TIP: Negotiating lease renewals consist of specifying rent increases, so you won’t have any surprises ahead. 3. Look for Hidden Costs in the Contract and Fine Print. Your lease may be a “gross lease,” where all costs are consisted of, or a “net lease” where there are costs in addition to your lease. Numerous business leases make the occupant accountable for costs such as upkeep or maintenance in public areas. Ask if your business will be responsible for any additional expenses. Work out caps on these amounts or negotiate an all-inclusive lease agreement. It’s also a good idea to ask how utilities are metered. Contracts can contain a lot of hidden information. Speaking with a real estate attorney for store leases in Manhattan will help you find them. Ask for modifications to the lease that will benefit you. You may want to ask for a provision that limits the owner from renting out any other storefront on the premises to a business similar to yours. 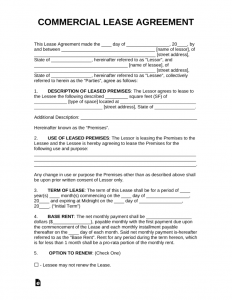 Make sure you look at the stipulations that pertain to default or termination of the store lease unexpectedly. It should include firm but fair terms that allow the renter to cure damages incurred by the property owner. Ideally, a negotiation for penalties upon early termination should be made before signing a lease. By working with an experienced Manhattan real estate lawyer, you will have an ally that considers your best interests. He or she will be able to negotiate on your behalf and point out issues that need attention. Real estate attorney David Aronstam is on his client’s side in important real estate transactions. Contact us today for a free, no-obligation consultation at (646) 759-0400. For more information. please visit our main website at Aronstamlaw.com.